Let’s face it...we all get angry. Sometimes we even get really, really angry. Chances are you’ll know when the time is right to share this book with your class. There are just those days when you and your students are tired and grumpy. Begin by showing your group only the cover. Infer...How is the girl feeling and how do you know? Invite students to make a similar face. Next have students take a closer look at the first spread. How is Sophie feeling now? How can you tell? Uh-oh. Now how is Sophie feeling? Can you use your experience with the picture clues to infer Sophie’s feelings? Show the next spread. Oh, my. Have students closely examine Sophie’s face and the cat. Even the zig-zag lines are a clue. At this point, you might want to remind your readers that inferring means combining your background knowledge and the clues in the book to infer a character’s feelings. Remind them that their own experiences count as background knowledge. Provide time for students to share similar experiences and feelings they may have had in the past. Read the story aloud. 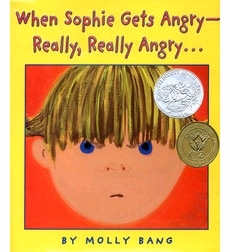 Discuss the ways that Sophie handles her anger. Which are appropriate and which are inappropriate? Be sure to validate a variety of opinions. Finally, invite students to act out the story as you reread. Now doesn’t that feel better? If you’re angry and you know it, kick and scream. Smash the world to smithereens. If you’re angry and you know it, give a roar. Roar “red” more and more. If you’re angry and you know it, run and run. If you’re angry and you know it, cry and cry. Find a tree and start to climb. If you’re calm and you know it, climb back down. Climb back down and walk back home. Teachers of older students, Let me express my feelings...CHECK OUT THIS LINK! You’ll find a picture book writing lesson from WritingFix. 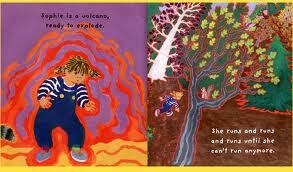 The lesson focuses on idea development and voice using Molly Bang’s book as the mentor text. There are templates and student samples. More feelings...I ESPECIALLY LOVED the interactive pre-writing buttons. 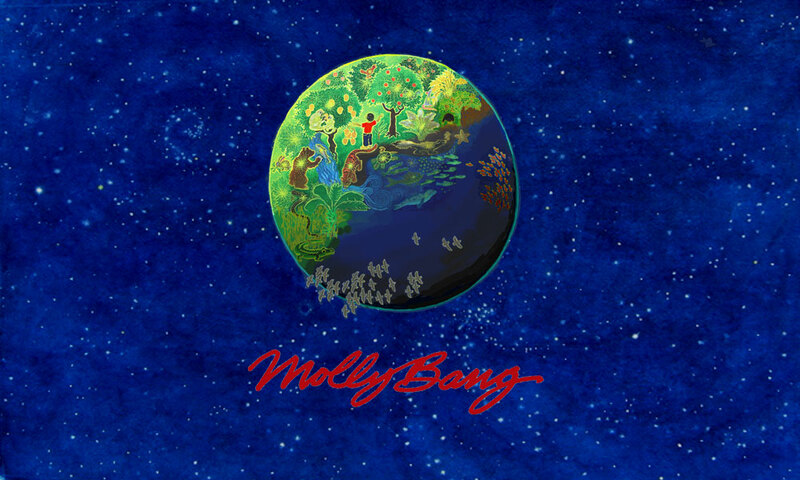 To read more about Molly Bang’s feelings about the book. We have loved this book for years in our house. Great review! That's a great book! And I love the song. Thanks for sharing, Jayne. I find your blog very interesting as I am always trying to integrate math and literature. 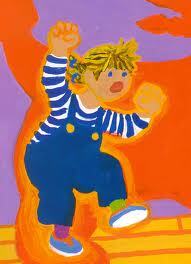 I am now a blog follower because I need to be up-to-date on the latest primary books. When you have time, come on over and vist my blog as well. Your blog is such a wonderful resource. My district has comprehension strategies as part of our balanced literacy/integrated curriculum. I love how your blog shows ways to incorporate art too. Your blog is a gem and a blessing. I cannot wait to share it with others and our Balanced Literacy Curriculum Specialist. I use this book to because it goes along with what I am teaching the children with Conscious Discipline. Also, I'm curious about the CD approach...I'll be looking up more about that. Your personality comes through in your great blog and I'm your newest follower. Thanks Booger Monkey! I just found your blog through Pinterest and I'm your newest follower! What a wealth of fabulous ideas and resources!